When you start Storyboard Pro for the first time, the default workspace is displayed. 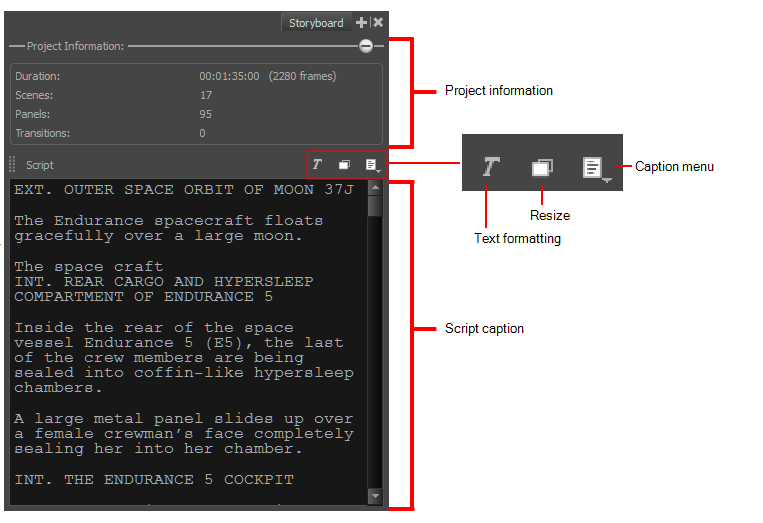 It contains all of the main elements you need for storyboarding. The Thumbnails view displays all the panels in your project in chronological order. Using this view, you can navigate through your storyboard, rearrange panels and scenes, and select a panel to display in the Stage view. 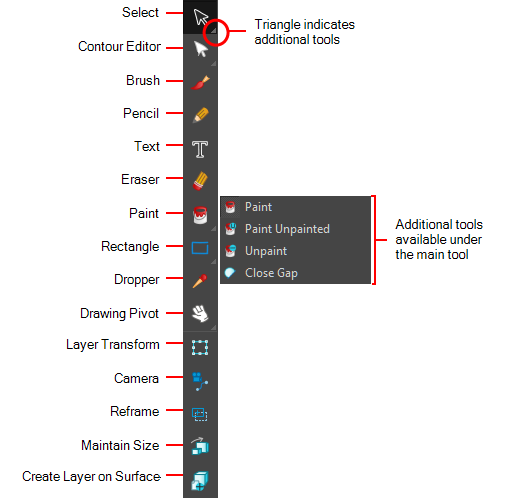 The Tools toolbar contains all the main tools you need to work in Storyboard Pro. 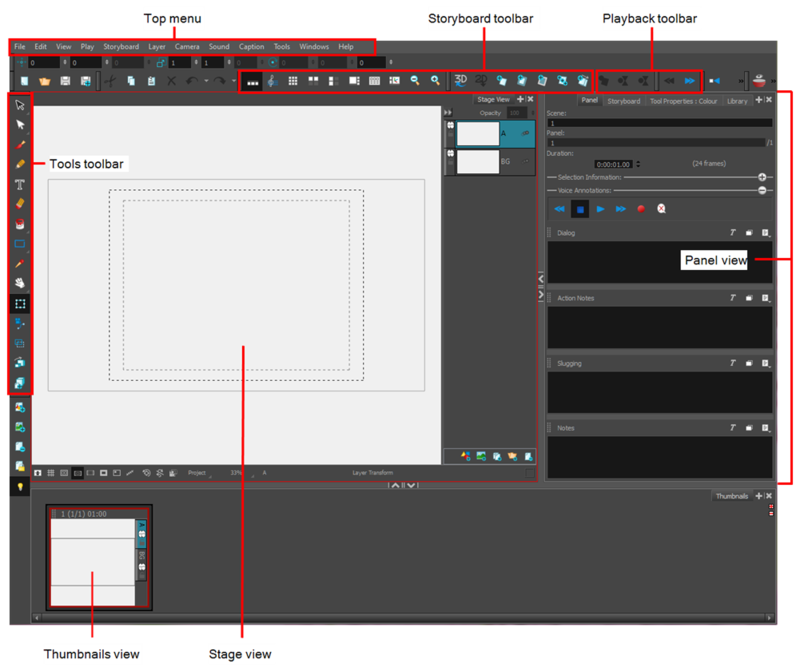 In the default workspace, this toolbar located on the left-most side of the interface. A small triangle at the lower-right corner of a tool indicates additional tools under the main tool. 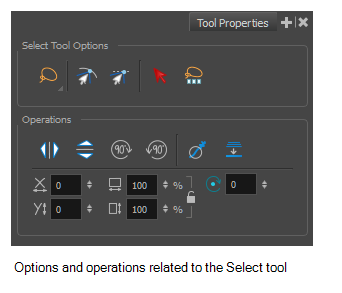 To access these tools, hold down the left mouse button until the additional tools appear, then select one. 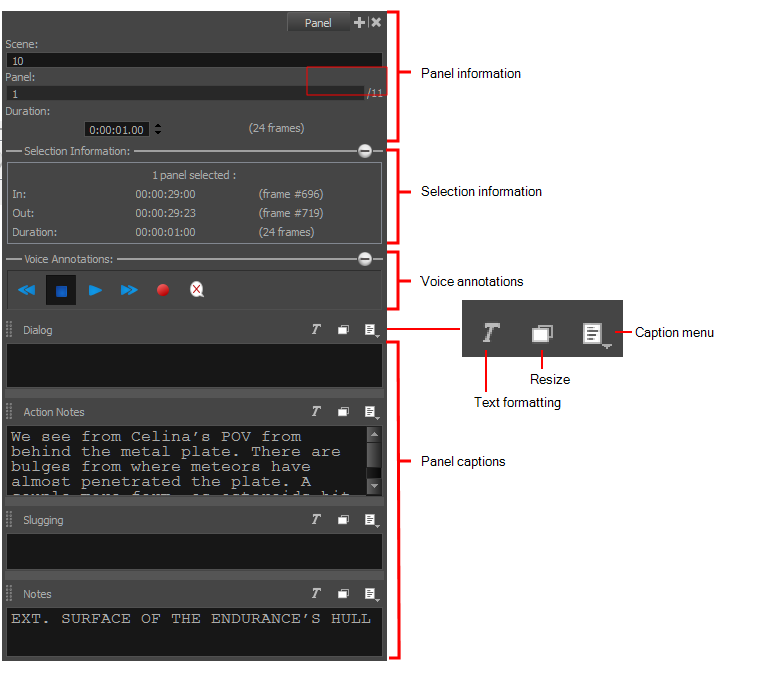 The Playback toolbar lets you play back your storyboard. 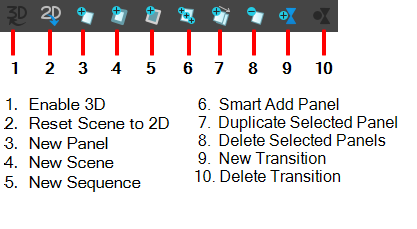 When you create an animatic with transitions and sound, you can play it back in real time in the Stage view to check the timing. 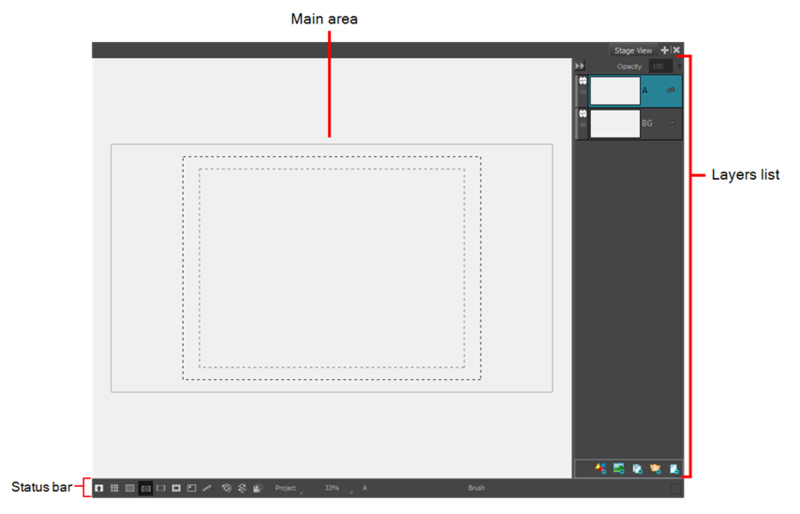 In the default workspace, this toolbar is located at the top of the interface. The top menus contains most of the commands. Depending on the view you're working in and the element, some commands are available and others not. The top menu is always located at the very top of the interface.